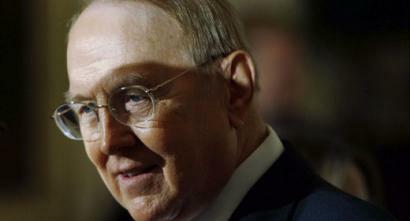 NEW YORK ‚Äî Truth Wins Out (TWO) launched a new website today, DumpDobson.com, that calls on the Museum of Broadcast Communications to reverse its decision to honor Focus on the Family’ James Dobson in its Radio Hall of Fame. Unless the museum withdraws its pledge to induct Dobson, TWO will join Equality Illinois and the Gay Liberation Network to protest the awards ceremony, Saturday, Nov. 8, (5:30 PM — 7:30 PM), at the Renaissance Chicago Hotel. To fight back against this offensive decision, DumpDobson.com is asking fair-minded people to take four actions. E-Mail Radio Hall of Fame CEO Bruce Dumont, brucedumont@museum.tv, and urge him to withdraw Dobson’ honor. Sign our letter to the Radio Hall of Fame urging them to reverse their foolhardy decision to celebrate Dobson’ shameful and ignoble career. If you live in the Chicago area, please sign up to participate in our protest. Donate to Truth Wins Out or Donate to the Gay Liberation Network to help us fight back. In the past two years, at least seven researchers have accused Dobson of manipulating or cherry picking their results to back his anti-gay teachings. Letters and videos documenting the concerns of these respected professors can be viewed on RespectMyResearch.org. Dobson also profits from intolerance. He founded a ministry, Love Won Out, that promises to “cure” homosexuals — even though the so-called “ex-gay” leader of Love Won Out, John Paulk, was photographed in a gay bar. Dobson continues to promote dishonest psychological theories about gay people that are rejected by every respected medical and mental health association in America, including the American Psychological Association and the American Psychiatric Association.